On Thursday March 15th Rick Storlie of New Home Sales Coach will be sharing how to get more new home and remodeling sales with higher margins. Last Month the National Association of Home Builders held their annual International Builders Show. Nearly 50,000 people attended and for the first time in recent memory there was a sense of optimism toward the future. "You could sense something was different," commented Rick Storlie of New Home Sales Coach, a firm that specializes helping home builders and remodelers reach their sales goals. "The overall mood was cautiously optimistic that we might have the worst of the housing correction behind us." During the event Storlie spoke with home builders and remodelers from across the US and Canada. Through these conversations, a recurring theme popped up. 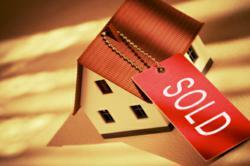 "Nearly everyone I talked to was excited about the amount of buyer activity they've seen in 2012. Yet they all had the same concern. They've been in survival mode for so long they weren't sure how to begin growing," said Storlie. Each builder told Storlie they were operating on minimal staff and banks were still wary of lending money. They had limited funds for advertising and are still trying to figure out how to increase margins. "The challenge is how to grow with what you have in place. Nobody wants to add staff so everyone is looking for increased efficiency," commented Storlie. "In the last few years most builders made the easy decision of cutting back on traditional advertising because it wasn't working anymore and they didn't have the budget for it anyway. Now, there's a little money coming in and the question is 'where's the best place to spend my money?'" To help builders figure out the most efficient way to grow their companies Storlie will be presenting the following webinar on Thursday March 15th. Storlie has created a sales and marketing Scorecard that will tell any home builder or remodeler how well they're tapping into today's market. The Scorecard takes 2 minutes, builders will get an immediate score and see how they compare to their builder peers. Home builders and remodelers can get their Scorecard by clicking here. About Rick Storlie: Rick Storlie of New Home Sales Coach has been helping home builders and remodelers reach their sales goals since 1992. Visit NHSalesCoach.com to access Rick's free Sales and Marketing Tutorial Library full of tips from generating new leads, Realtor strategies, sales techniques and sales management secrets. Storlie can be reached at 952-895-5566 or Solutions(at)NHSalesCoach(dot)com.